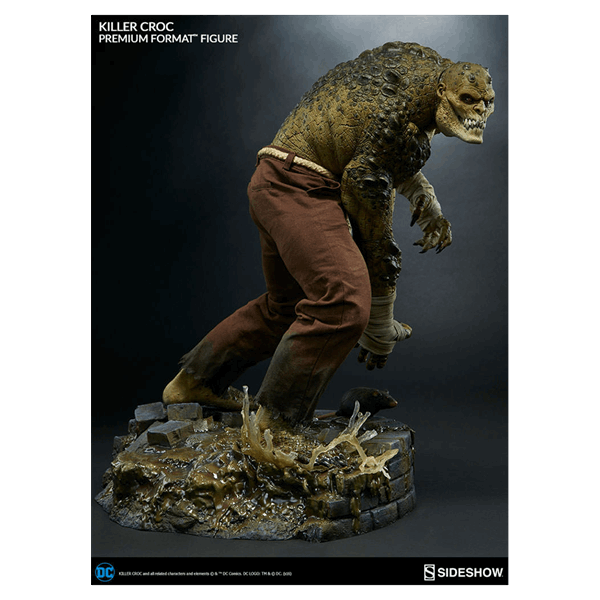 Killer Croc might not be the brightest villain to ever grace the pages of DC Comics, but he is one of the toughest and most brutal. 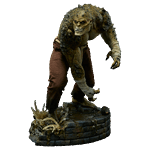 Constantly stepping up against Batman, and occasionally other super-villains, Killer Croc is as formidable an opponent as he is a statue. 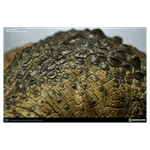 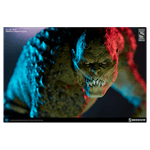 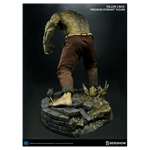 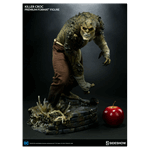 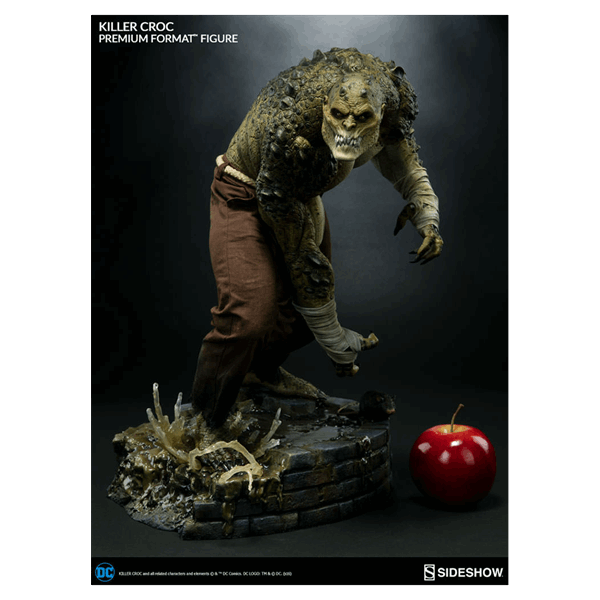 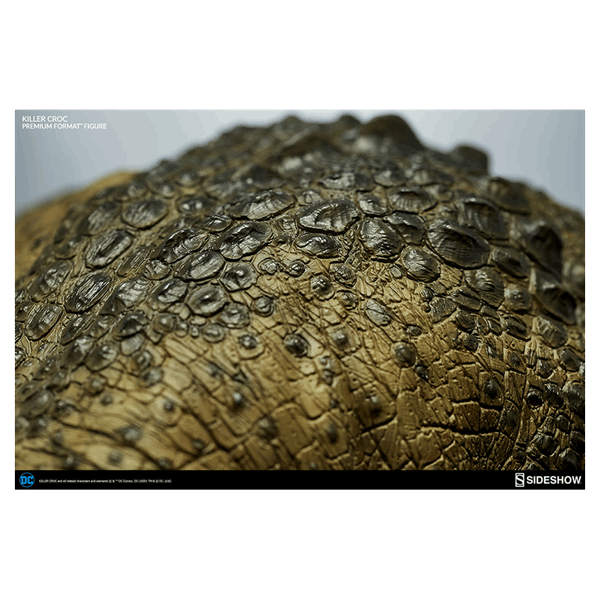 Sideshow’s Killer Croc Premium Format Figure captures the physicality and anger that DC collectors expect from this misshapen villain. 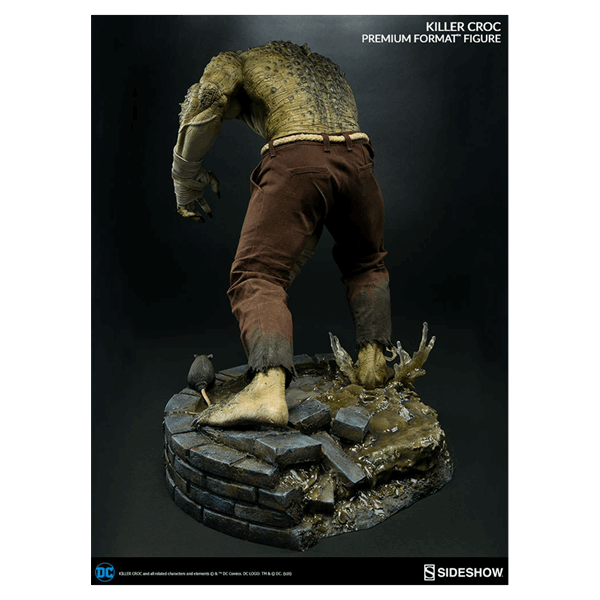 Poised to stomp through the sewers, Croc’s feet are kicking up a splash as a rat scurries around him. 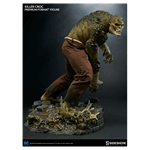 Clad in weathered fabric pants and rope belt, Croc gives the impression that he is a man or beast that has been living rough on the edge.